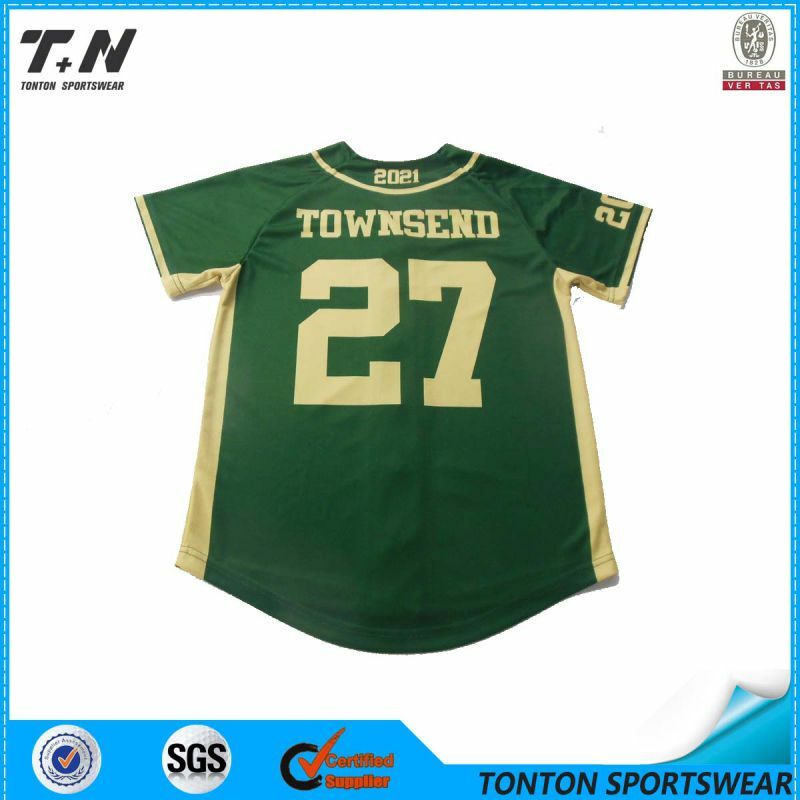 Product Detail Material: 100% polyester 260gsm Double Knitted Fabric(Interlock), quick dry mesh fabric or according to your specifications Printing: Sublimation Printing (Heat Transfer Printing)--Colorful and personal logo printed on quick dry polyester material, better for sportswear--No increase fees!!! 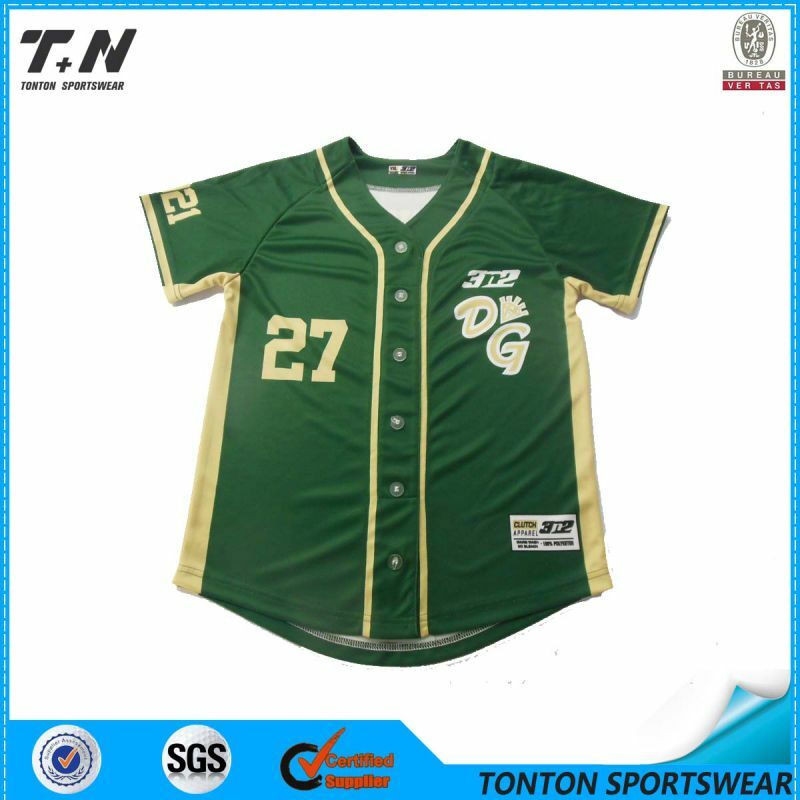 Design: You can send us your design in PDF or AI format and other requirements on your jerseys,our professional design team will make the design for you.. Size: European and American size, all size are available,from Youth (4. 6. 8. 10. 12. 14. 16) to Adults(3XS. 2XS. XS. S. M. L. XL. 2XL. 3XL. 4XL) Advantage Sublimation printing, No color limit, No fading,Never wash-off, vivid design and beautiful colors Moisture wicking design make it more breathable and comfortable The world's first-class workmanship, durable Reasonable and competitive price New fashion style, classical design, create unique look for your team Multiple colors for choosing, no size limit Fast delivery Packaging & Shipping Shipping DHL UPS EMS Fedex By Sea Shipping Method & Shipping Time DHL express. About 3-7 days door to door service. Seaway, about 15-25 days to your port. 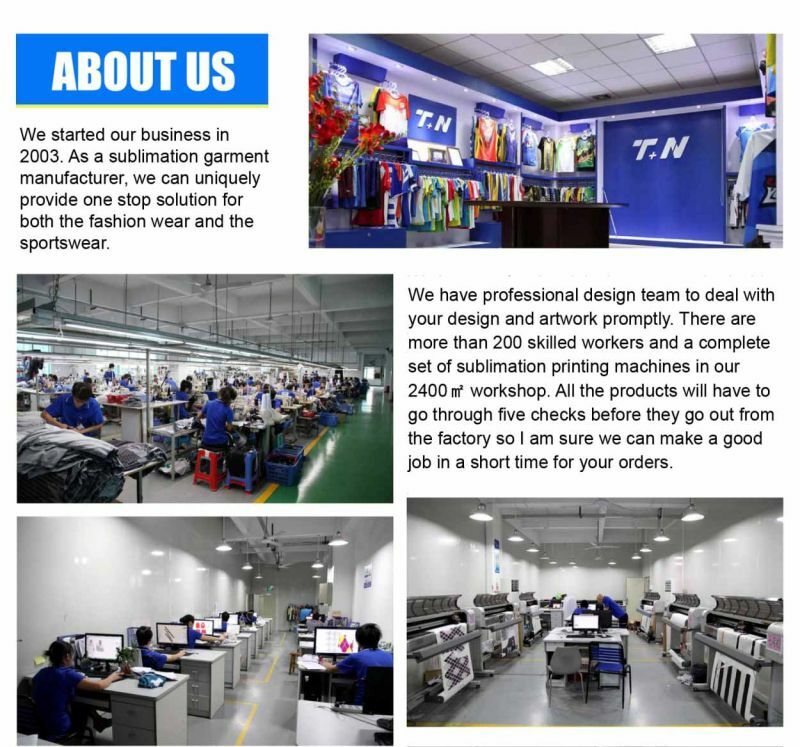 Payment Method L/C T/T Western Union Escrow Picture & Label Policy We can offer free pictures with your logo if you have shopping experience in our store, also printed label, woven label and other special label are available.